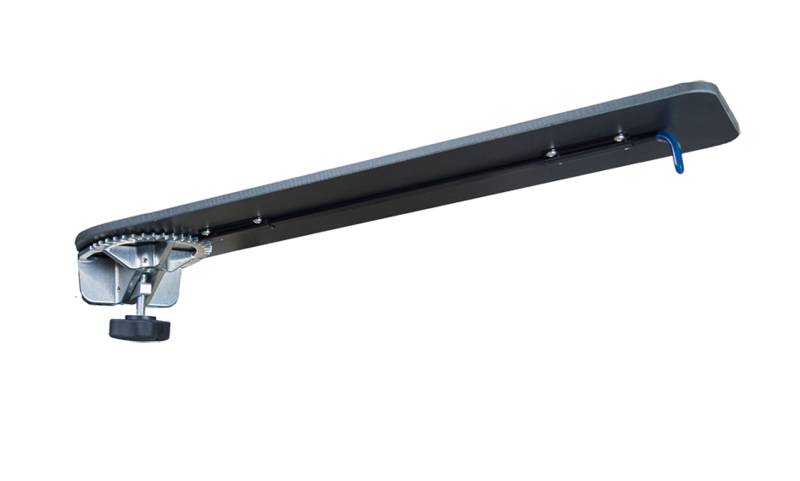 The Clamping Armboard allows for secure positioning on siderail during procedures requiring the surgical table to be raised with a spring loaded rail-lock clamping mechanism. 6" x 26" phenolic surface. Rotates 180 degrees, 21 locking increments.